For the first time since the air engagement between India and Pakistan on 27 February over Rajouri in Jammu and Kashmir, Islamabad has indicated that it may have used F-16 fighter jets against Indian aircraft. Major General Asif Ghafoor, the spokesperson for Pakistan's military, issued a statement on Monday on "repeated Indian claims" of shooting down a Pakistani F-16 and the use of the fighter jet in the dogfight. India has maintained that Indian Air Force (IAF) Wing Commander Abhinandan Varthaman had shot down a Pakistani F-16 before his MiG-21 Bison was hit. On 10 March, the Ministry of External Affairs had said there are eyewitness accounts as well as electronic evidence to prove their claim. Also, on 28 February, a day after the air battler, IAF displayed parts of an AMRAAM (Advanced Medium-Range Air-to-Air Missile) as evidence to "conclusively" prove that Pakistan had deployed F-16s during the aerial raid targeting Indian military installations in Kashmir. It said Pakistan does not have any other fighter jets capable of firing an AMRAAM missile. Last month, Ghafoor had maintained that only JF-17s were used against India in the 27 February dogfight, which makes his latest mention of the use of F-16s significant. "Pakistan retains the right to use anything and everything in its legitimate self defence," Ghafoor said, claiming that Pakistan had used JF-17 jets for the strikes it carried out across the Line of Control, and that the Pakistan Air Force (PAF) shot down two Indian jets that had crossed the LoC. "Whether it was F-16 or JF-17 that shot down two Indian aircraft is immaterial," he remarked. "Even if F-16s were used, as at that point in time, the complete PAF (sic) was airborne, including F16s, the fact remains that Pakistan shot down two Indian jets in self-defence." India has objected to Pakistan's use of F-16s since the dogfight, citing the purchasing agreement between Washington and Islamabad. As part of the agreement, the US had barred Pakistan from using F-16s against any third country and allowed it to operate the fighter jets only in self-defence and anti-terror missions. Let's note the "self-defence" provision here, which Ghafoor made sure to mention in his vague statement neither admitting nor denying the use of F-16s. The US has a strong end-user monitoring agreement, and as a matter of practice, takes all allegations of misuse of defence articles seriously. In fact, Washington sought more information from Islamabad on the alleged misuse of the American-made F-16 fighter jets in violation of the end-user agreement, after India displayed remnants of the AMRAAM missile allegedly fired a PAF F-16. Ghafoor's statement is another case of Pakistan flip-flopping on its stand, near-exposing the lies it has spun since the dogfight over Kashmir. Early in March, contradictory claims by the government and military with regard to terrorism on its soil had exposed the country's lack of seriousness in tackling the problem. Ghafoor had claimed that the Jaish-e-Mohammed (JeM) terrorist group does not exist in Pakistan, completely contradicting Foreign Minister Shah Mahmood Qureshi's admission on 1 March that JeM chief Masood Azhar was, indeed, in Pakistan, but was "unwell to the extent that he can't leave his house". 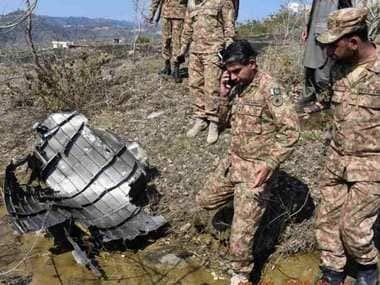 Pakistan is now trying to save face — besides save itself from US action — by trying to hide the fact that it had, indeed, used an F-16 in the air operation against India, and that the fighter jet was not merely in the air with most of PAF's other aircraft, as Ghafoor claimed. In fact, India shared proof with the US that Pakistan had deployed equipment Washington had supplied — largely using funds under the war on terror initiative — against India in its cross-border raid. 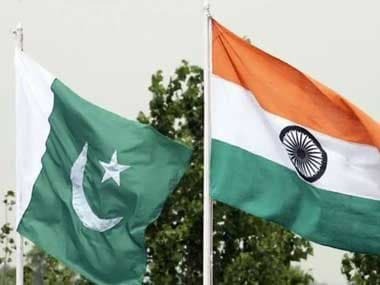 India has maintained that Pakistan had fired AMRAAM at least four times to target an Indian air patrol, which had gone to counter an intrusion over Rajouri in Jammu and Kashmir's Nowshera sector. One of them hit Wing Commander Abhinandan's MiG-21 Bison, after which ejected from the jet across the LoC. How is Pakistan going to counter the proof that India has in its arsenal? Ghafoor's vague "maybe we did, maybe we didn't" statement is surely not making a case. His remarks are a poor attempt to hide the truth and indicate that Pakistan is trying to take cover behind a flimsy "self-defence" argument, which does not hold given how India had targeted a terrorist training camp in Balakot, whereas Pakistan had chosen to target several military establishments. A clear case of an anti-terror operation versus a hostile, provocative attack. At this point, it would serve Pakistan better to drop the weak case it's trying to make. Its vagaries are only working against it. 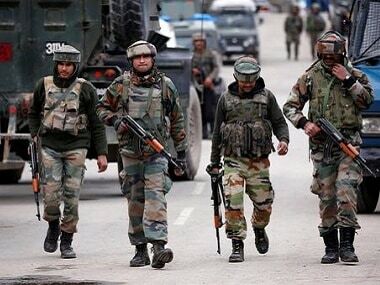 Tensions between India and Pakistan escalated after the 14 February attack by Pakistan-based JeM in Jammu and Kashmir's Pulwama, which killed 42 soldiers of the Central Reserve Police Force. The India-Pakistan dogfight over Rajouri on 27 February followed IAF's airstrikes on a (JeM) terror camp in Balakot in Pakistan Khyber Pakhtunkhwa province.